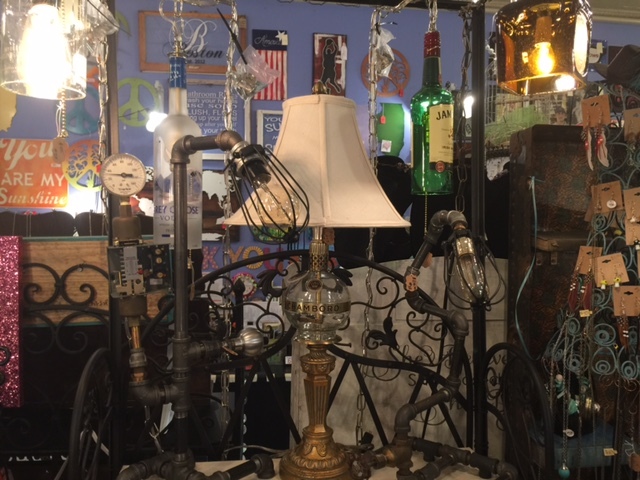 Dan Luckey has the most fun when he’s creating lamps to fit any décor. 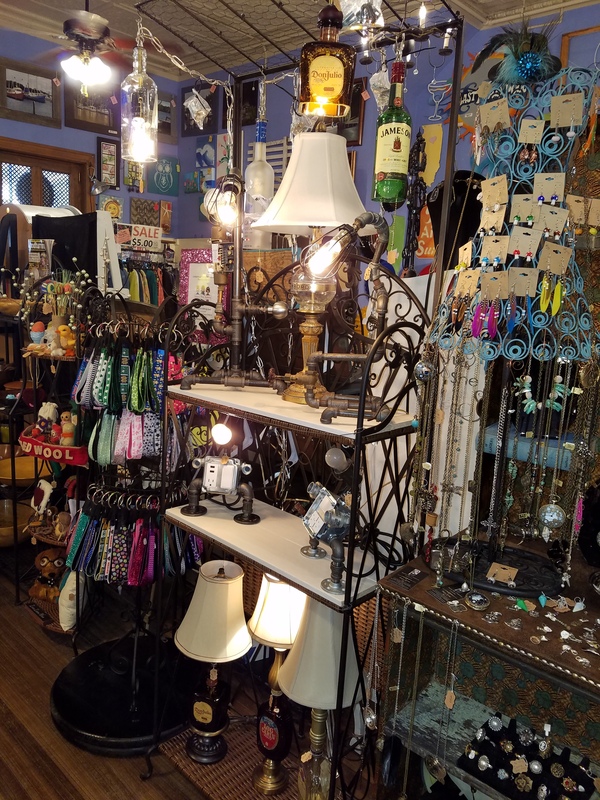 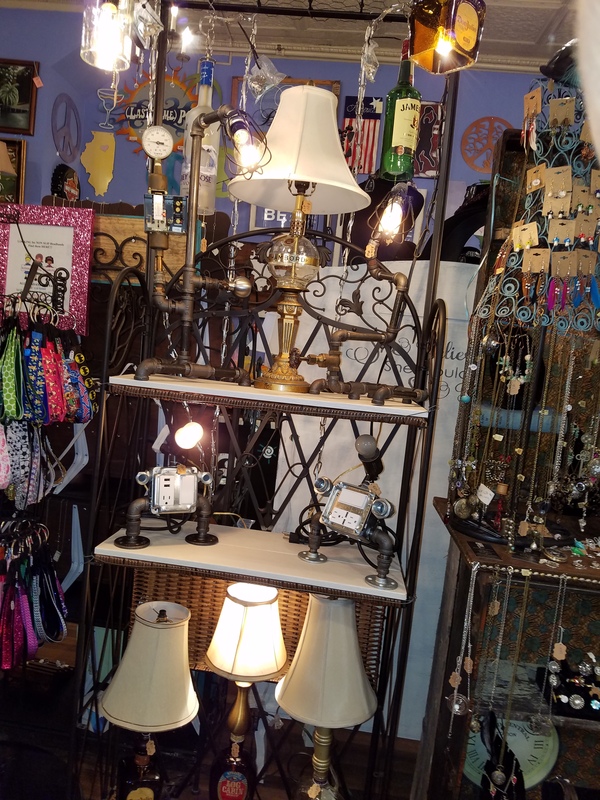 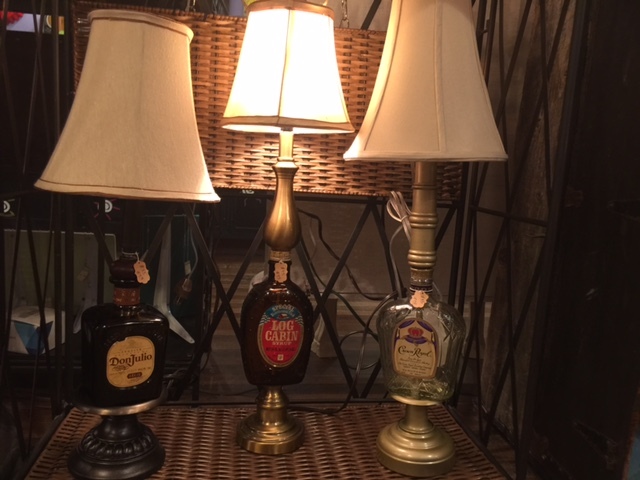 He cuts liquor bottles to create hanging pendant lights and uses any type of bottle from Mrs. Butterworth’s to specialty bottles to create table lamps. 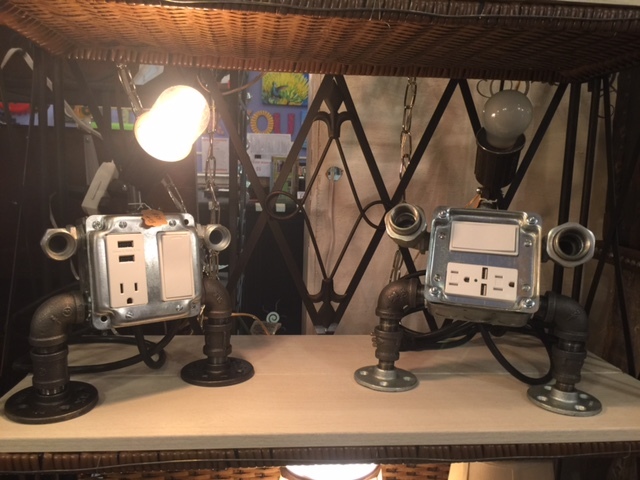 He also uses pipe to create robots with electrical outlets and usb drives. 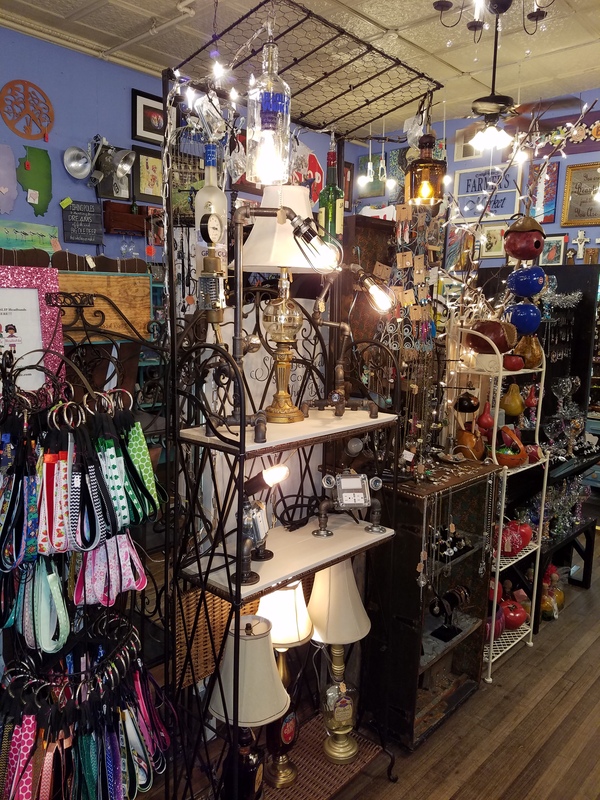 You’ll definitely want to pick up one of Dan’s treasures for your next gift.